This summer, I have been watching a lot of newly released comedies and reviewing them. This is a bit unusual to me, as I would usually check them out on streaming without bothering to write any reviews. However, I have changed my way, so let’s talk about Bad Moms. IMDb summary: When three overworked and under-appreciated moms are pushed beyond their limits, they ditch their conventional responsibilities for a jolt of long overdue freedom, fun, and comedic self-indulgence. Bad Moms was a typical Hollywood comedy. And that’s not a bad thing. Yes, it was cheesy, predictable, full of cliches and some cringy moments. But it was also funny and entertaining. It made me laugh more than a couple of times. It was directed and written by the duo, who wrote the first The Hangover movie and had their directorial debut in 2013 with 21 & Over (loved this one). Bad Moms’ story proved one thing – I will never have kids. They can literally destroy lives. I don’t think that this was the intended message of the filmmakers, though. I feel that they tried to show how the role of the mother can be challenging, hard but rewarding and still worth it. The montage during the end credits with all the actresses and their mothers portrayed this idea nicely and was a sweet ending touch. I also appreciated the fact that Bad Moms showed that modern moms can have it all. My favorite part of the film was the supermarket montage. It was fast paced, funny, had the perfect amount of cheesines and a catchy soundtrack. I also enjoyed seeing SuperWoman a.k.a. Lily Singh in the film. She is a famous Youtuber that has an amazing comedy channel. Lily had like 30 seconds of screentime, but I hope that this cameo will help her get more work on the big screen because she is super funny and relatable. The lead of the movie was played by Mila Kunis, who nailed her role. She has always been good at both comedy (just watch Friends with Benefits) and drama (Black Swan comes to mind). Like any other actress working in Hollywood, she had a few missteps (Jupiter Ascending) but, on the whole, her career has been fairly successful. The two main supporting characters were played by Kristen Bell (Frozen) and Kathryn Hahn (She’s Funny That Way). Bell was great as the quiet, hard-working mom (she just played a similar character in The Boss), while Hahn played a completely opposite and crazy mother well. By the end of the film, these two characters kinda exchanged a couple of personality traits and that was a fine resolution to their personal plotlines. Other members of the cast included Christina Applegate, whose character was extremely annoying but served the purpose of the picture well. Jada Pinkett Smith (Magic Mike XXL) also had a small role, which, to my mind could have been played by anyone and I don’t know what Pinkett Smith was doing there. She is worth better roles and I also hope that she will return to Gotham as a series regular. The writer of Bridesmaids and Joy – Annie Mumolo – had a small and very stereotypical role too. I think that Mumolo is better off writing comedies rather than starring in them. Lastly, the compulsory love interest for the leading lady was played by Jay Hernandez, who was just in Suicide Squad as El Diablo (the standout character of that feature). I didn’t even recognize him! All in all, Bad Moms was an entertaining comedy with good performances, solid writing and directing, and a few nice moments. It wasn’t unique or inventive, so I can’t really recommend it to everyone as a must watch. Sometimes, there comes a movie that ignites and divides the Internet and the latest film to do so is the new Ghostbusters all-female remake. The last 3 words of the previous sentence tell you everything you need to know about the big fight. Some individuals are angry because it is a female Ghostbusters picture, other are enraged because it is simply a remake of a classical film. The third party consists of trolls, who like to see the world burn. My personal stance on this film is/was kinda neutral, calm and open. I liked the idea of a female group in a lead since I’m a female cinephilé. The fact that it is a remake and not an original female sci-fi comedy is not great, but it doesn’t infuriate me to the point that I would attack somebody online. I did not grow up with the original films of the 80s or the cartoons of the 80s and 90s – I have seen them and enjoyed the viewing experience but never thought about them as something really special – so maybe my lack of personal emotional ties to the property allowed me to be more distant and level-headed. The critics gave the new film an okay score and, so far, all of the reviews I watched or read deemed the movie fine or okay. So, let’s see what I thought. IMDb summary: Following a ghost invasion of Manhattan, paranormal enthusiasts Erin Gilbert and Abby Yates, nuclear engineer Jillian Holtzmann, and subway worker Patty Tolan band together to stop the otherworldly threat. Ghostbusters’s script was written by Katie Dippold and the director Paul Feig. This duo has previously worked on the comedy The Heat, which I loved. Ghostbusters’s story, on the other hand, was only okay. I liked the moments when the characters were going crazy about science and were just unleashing their inner nerds – if this makes more girls try out S.T.E.M. studies, I will count the film as, at least, partially successful. I also liked the inclusion of the online commentators in the movie – that moment felt really meta, knowing the backlash that the feature’s trailer sparked online. I also liked all the movie references: Patrick Swayze shout-out was fun, the Jaws’s reference involving the mayor was spot on and the Clark Kent joke was quite nice, although they could have made some kind of Thor joke, given that that’s the role that Chris Hemsworth actually plays. I also liked the inside references – I liked that they included both Slimer and Stay Puft Marshmallow Man into the picture. I also liked the underlying message of the film that all people seek approval, one way or the other. On the other hand, some narrative ideas and concepts infuriated me. For one, all of the jokes at the expense of male characters were pushed too far and the whole writing for male characters was just terrible. I know that male dominated films have used female characters as sexualised objects or eye candy, but I don’t want female-driven films repeating the same mistakes. In a world, where universal acclaim is the goal, any kind of vengeful ideas or supposed payback both have no place. The second thing that angered me was the fact that Ghostbusters were too afraid to go all the way – yes, they broke the gender norms and I applaud them for that, but they left all the racial stereotypes for no goddam reason. Moreover, some of the plotlines and plot-twist were way too cliche: what was that Ghostjumpers’s reference? Was that supposed to be a nod to the original Ghostbusters? The whole mayor sideline, while it allowed for some good jokes, did not need to be in the film AGAIN. Lastly, why the big villain of the story could take any shape again? That has been done already (although, I liked that the villain took the shape of their logo). In addition, why did the thing that will destroy the city had to be a huge cloud/vortex/beam? Aren’t there any other ways to destroy the world on screen? Paul Feig, who has previously directed Bridesmaids, The Heat, and Spy – all movies that I actually enjoyed despite not being the biggest fan of comedies – did an okay job with the direction of the Ghostbusters. The CGI looked much better that it did in the 80s, as it should have. The pace of the film was also fine and there were some nice action moments dispersed throughout the runtime of the picture. The scenes during the end credits were also neat and it was also great to hear the original Ghostbusters theme by Ray Parker Jr in a theater once again. In general, the film was kinda cliche but still kinda fun. The main problem I had with the directing of the film was that the Ghostbusters remake didn’t know what it wanted to be. At times, it strived for the action-sci-fi-comedy genre, but it also had numerous moments that belonged to a cartoon parody of a film. Melissa McCarthy starred as Dr. Abby Yates, while Kristen Wiig played Dr. Erin Gilbert. They seem to be playing the characters that they always portray – the crazy one and the serious one. Although, to be truthful, McCarthy probably played the least crazy character of her career and I actually really liked her character and the performance. Generally, I do like McCarthy’s characters when she is working with Feig, I just wish she stopped working with her husband Ben Falcone because Tammy and The Boss weren’t great. Wiig’s performance was fine as well, but nothing too special. I like her much more in dramatic rather than comedic roles – she was really good in The Martian. Kate McKinnon portrayed Dr. Jillian Holtzmann and I had mixed feelings about her character and the portrayal. I liked her look the most out of the 4 leads and she did seem the most interesting and unique. However, at times, her character acted just too weirdly, so that the whole performance turned into a parody and the character into a caricature. McKinnon is mostly known for her sketch comedy work and some of her scenes did feel like over-acted SNL skits. I wish her performance would have been elevated to the big screen level, but I’m still excited to give her another chance, starting with the upcoming Christmas comedy – Office Christmas Party. While the main pair of the film was supposed to be Wiig’s and McCarthy’s characters, I actually like the chemistry between McCarthy’s and McKinnon’s characters much more and would have loved to see even more of them together. Leslie Jones portrayed Patty Tolan and was also one of my favorites. Her character was a bit stereotypical but that’s the problem with the writing, not acting, so I’m absolutely disgusted by the hate she received on Twiter. I really liked how Jones delivered her one-liners and snarky reaction remarks and I also appreciated the fact that, through her character, the audiences could at least try to understand the science mumbo-jumbo. Moving forward, Jones will voice a character in SING. Chris Hemsworth as Kevin Beckman. I hated the writing for Hemsworth’s character and I have no idea why he even chose to play this role, since he has some better things coming up. He still has a few Marvel movies to do, he will be in Star Trek 4 and he just had another mildly but still successful live-action fairytale – The Huntsman. The only saving grace for his character were those few scenes in the end, when he became the main antagonists but even that development didn’t go anywhere interesting. The cameos: some of the cameos were nice, I especially liked Sigourney Weaver’s and Ernie Hudson’s appearances. Bill Murray’s cameo was a hit and miss for me, it didn’t even seem like he wanted to be there. All in all, Ghostbusters remake was a mixed bag of a film. It had some nice moments as well as some terrible ones. I don’t think that it deserved so much hate that it received, but I also cannot say that I understand why it had to be made. The second (or third) buddy cop comedy of this summer has reached the theaters, so let’s review it! IMDb summary: After he reconnects with an awkward pal from high school through Facebook, a mild-mannered accountant is lured into the world of international espionage. The first buddy cop comedy that I had in mind is The Nice Guys, which is basically the retro version of Central Intelligence. Also, we could definitely count Zootopia as a crime comedy. Central Intelligence and Zootopia have a similar humor style – very contemporary, pop-culture based. Central Intelligence’s script was written by a trio of screenwriters Ike Barinholtz, David Stassen and the director Rawson Marshall Thurber. I’m not familiar with their previous writings projects but I did enjoy the story that they created for this film. I liked the overall message of being one’s own hero and being oneself, although, that last inspirational speech might have been a bit too much. Nevertheless, dealing with life after highs school and the scars that bullying leaves on one’s mind were good topics for the film since so many people, myself included, can relate to them. The crime aspects of the film – not knowing who the bad guys were and all the double crossings – also worked. The comedy was also fine – I enjoyed the pop culture references. The film 16 candles was mentioned a lot and the line ‘See You On The Other Side’ also received a few repeats. Although it did not originate in the Fast and Furious films, I took it as a reference to that franchise, especially the Fast Five film, in which Dwayne Johnson first appeared. Vin Diesel was also name-dropped a couple of times. The line ‘You’re like a snack-sized Denzel’ also made me chuckle. Rawson Marshall Thurber, who directed We’re The Millers, did a good job directing Central Intelligence. The action was cool, although, he could have used a bit less of the shaky cam. The CGI to make the actors look younger also worked. The pacing could have been better – the movie was a bit slow to start – but wasn’t that bad to ruin the film. I also liked the fact that they included the bloopers before the credits, like the older comedies used to do – it seemed like all the actors had so much fun on set and that made me like the film even more. Dwayne Johnson as Bob Stone/Robbie Weirdicht was a good lead. His character seemed to have a multiple personality disorder and was just a tiny bit obsessed with Hart’s character. Johnson first appeared on my radar because of his involvement in the Fast and Furious films, but since then, he has really built himself an exciting acting career. Last year’s San Andreas was a surprising hit and later this year he is voicing a major character in Moana. In 2017, Baywatch is coming out, which Dwayne has also produced. Kevin Hart as Calvin Joyner was also amazing. I’m not really familiar with Hart’s work, I haven’t seen neither the Ride Along films, nor Think Like A Man films, nor last year’s Get Hard (I don’t like Will Ferrel that much), so I don’t have a strong opinion on him. I did, however, really enjoy his performance on Top Five as well as in this film, so I might eventually check out those other movies I’ve mentioned too. I really liked the contrast between Johnson and Hart. Their chemistry was also on-point. The supporting cast consisted of Amy Ryan as Agent Pamela Harris, Aaron Paul as Phil and Danielle Nicolet as Maggie Joyner. I was pleasantly surprised to see Paul appear in the film since I really like him as an actor. I have reviewed a bunch of his films: Need for Speed, A Long Way Down, Triple 9 and Eye in the Sky. Bridge of Spies’s Ryan was fine in her role and I also enjoyed the performance of Nicolet. Melissa McCarthy had a small cameo in the film that came out of nowhere but somehow worked. I laughed out loud when she appeared alongside Johnson. While I have mixed feelings about her solo comedies, I definitely like her in small, cameo-sized quantities. In short, while I don’t usually watch comedies at the cinema, I’m happy that I’ve made an exception for Central Intelligence – it was an entertaining and funny buddy film with great acting and nice message. Not a must see, but a definite recommendation. Also, I would like to give a spoiler warning for The Martian if you have not seen it yet. BTW, it’s been a month since I started taking Introduction to Film course, so tell me in the comments if my reviewing style has changed somehow (maybe it improved, hopefully?). It is not a secret that in the last few years, we had a few high production astronomical blockbusters – 2013’s Warner Bros’s Gravity and 2014’s Legendary’s Interstellar. Now, 20th Century Fox takes its shot and creates a mixture of those two films (even borrows some actors): The Martian has a plot-line of a ‘lonely astronomer lost in space’ from Gravity and ‘his team trying to save him’ from Interstellar. While I have enjoyed both of these films, The Martian might be my favorite out of all 3. I have also seen this film described as Castaway meets Apollo 11, which, I agree, is an accurate representation. The tagline for this film was Bring Him Home and it was definitely true to the film because Mark Watney’s attempt to go home was the scientific and emotional core of the film. Also, for me as a newly created emigrant, it’s a theme near and-and dear to my heart. Yes, I’m not stranded on another planet, but being away from home is hard no matter the distance. This movie had perfect time!! Just before its release, scientists actually found flowing water on Mars. Now, we are one step closer to turning The Martian from Science Fiction to Science Reality. If you like to learn more about this exciting development, I suggest you watch this Sci Show explanatory video. The Martian’s screenplay was written by Drew Goddard who has written mainly for TV before this. His credits include Buffy the Vampire Slayer, Lost, and Daredevil, which he also helped to produce. His last film script was for World War Z, which I, personally, really enjoyed but sadly been in a minority of moviegoers. 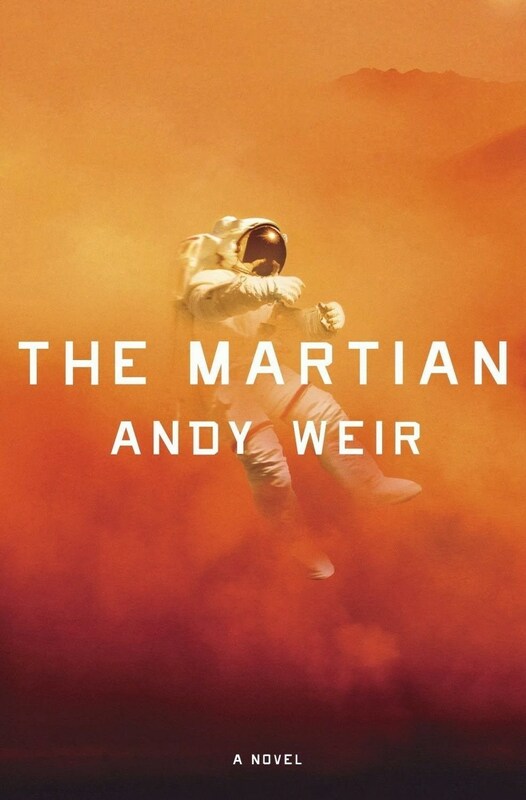 Going back to The Martian, I really liked his treatment of this story. Although the movie has no real action, for the most part, a lot of crucial things still happen during the middle of the film and keep the viewer engaged and interested. Nothing happens and a lot of things happen at the same time (we actually just studied films like this in my film class last week). Moreover, it needs to be mentioned that this is not an original story but an adaptation of Andy Weir’s book with the same name. I added it to my reading list and you should too. I have seen it in bookstores, re-released with the cover that looks like the movie’s poster, so it should be quite easy to get your hands on a copy of it. This movie has been praised for its scientific accuracy and it’s probably the most accurate of the 3 recent astronomical blockbusters. I am not expert on astronomy, physics, botany or any science but I am interested in these fields (that’s one of the reasons why I like sci-fi so much). Anyway, I found this Screen Junkies video on The Martian to be really interesting and helpful in thinking about Movie Science. I love all of their stuff on YouTube , but Movie Science videos are at the top of the list. The Martian is directed by the fan favorite Ridley Scott. His filmography includes Allien, Blade Runner (got its DVD from the library today), Gladiator, Prometheus and last year’s Exodus. Lots of people had problems with his last film and the whitewashing issue while I loved it. The interpretation of a biblical story was done in much better way than in Noah and the visuals were just stunning. Scott didn’t disappoint with The Martian as well. The Mise-en-Scene (I’ve learned a few fancy words in film class) was just stunning and really realistic while the futuristic technology was realized in a believable fashion as well. The action both on Mars and in the outer space looked amazing too. The NASA base was also a cool set, whose backgrounds could be analyzed separately from the narrative/on their own. The titular character of the film and the main start, of course, is Matt Damon. It’s not the first time that Damon is playing a lost astronaut – he had a similar role in Interstellar. However, while he was an extreme douche-bag in that film, here he is a loveable, funny, witty, intelligent and self-efficient character who carries the whole film. Damon’s performance blew me away and definitely turned me into a fan of his. I’ve seen a few of his films and was always on a fence about him, but his role as Mark Watney changed my perspective. I also loved that he was a botanist – you never really see movies that focus on plant biology scientists, films usually tend to pick physics or chemistry scholars, so this was a nice and refreshing change. While Matt Damon as Mark Watney is the central character of the film, he gets great support from a very diverse, established, and extensive supporting cast. I’m going to divide these characters into Space team and Earth team. Jessica Chastain as Melissa Lewis, Ares III commander – another Interstellar alumni. Loved her in that film as much as this one. Michael Peña as Rick Martinez, astronaut – the scene-stealer of Ant-Man shined in this film too. Can’t wait to see more of his work. Kate Mara as Beth Johanssen, astronaut – played a similar role to the one she did in Fantastic Four. While they definitely messed up Sue Storm in that film, her character was a great addition to this motion picture’s cast. Sebastian Stan as Chris Beck, astronaut – the Winter Soldier can be more than Marvel’s next Captain America. I am a fan of Stan, so loved seeing him popping up in this film. Aksel Hennie as Alex Vogel, astronaut – rounded up the space part of the cast. Sadly, I’m not familiar with his work, so cannot really comment much, except to say that he was great in this film. We didn’t get to spend much time with these characters and they didn’t get a lot of development. However, I believe that they served their purpose for this specific film perfectly by providing Matt Damon’s character with great support. We did get to spend more time with the Earth-based part of the cast which had a few surprising performances. Kristen Wiig as Annie Montrose, NASA spokesperson – was the biggest surprise. I have never imagined Wiig in not a comedic role but she blew me away. I wish she would do more action/drama films, but sadly her next movie is Ghostbusters remake, which I have mixed feelings about. Furthermore, I loved her character because she brought the public into the film. I haven’t seen the theme of public’s affect of NASA and NASA’s manipulation of public explored before. Jeff Daniels as Teddy Sanders, head of NASA, Chiwetel Ejiofor as Vincent Kapoor, a NASA mission director, and Sean Bean as Mitch Henderson, a NASA mission director were the powerful trio of NASA and for me, they worked best in their scenes together, because they played off of each others energy. Surprisingly, Sean Bean did not die. Also, seeing him make Lords of the Rings references was amazing!! Donald Glover as Rich Purnell, a NASA astronomer and Mackenzie Davis as Mindy Park, a satellite planner in Mission Control were the 2 younger actors in the Earth team. I liked the nerdy-ness that Glover’s character brought to the film and I appreciated the introduction to Davis as an actress. Lastly, this film had a few international actors from China: Eddy Ko and Chen Shu. While I don’t know if this side-plot was the part of the original story of the book, but I guess we all know why it was included in the film. Get that Chinese Box Office, Fox! All in all, this fall is proving to be one of the greatest movie seasons ever! I haven’t seen a film which I didn’t enjoy so far. The Martian is a great adaptation of (I’m sure) an amazing book with wonderful acting from the whole ensemble cast, especially the leading man – Matt Damon. In addition, it has stunning visuals and a strong emotional appeal as well as is scientifically accurate as much as sci-fi film can be accurate.